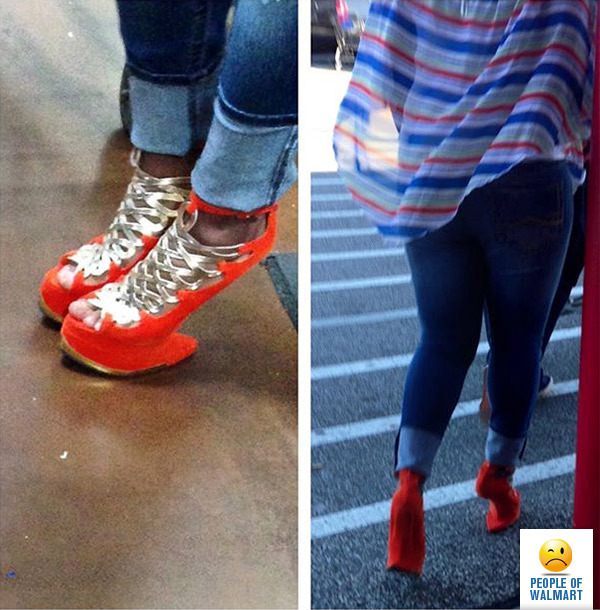 Are those heel-less heels? Is that even a thing? Can that even be a thing? Are you trying to train yourself to dunk or something? Why are they red and gold? Did Ronald McDonald make them? So many questions I need to know right now.